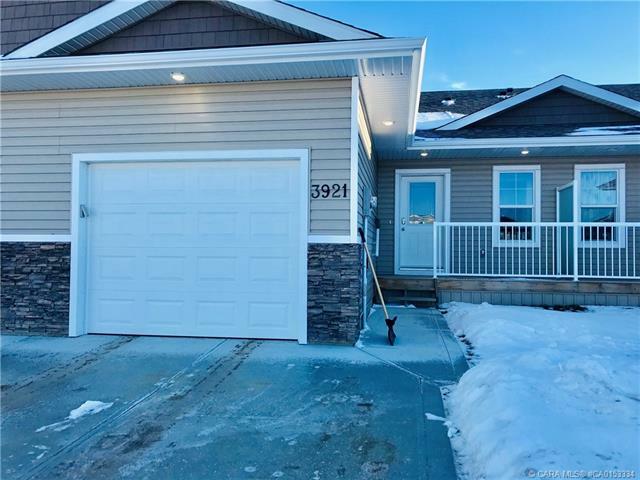 Beautiful Like New 4 Bedroom Townhouse!! Wow!! This well thought out open floor plan is a must see. A fantastic kitchen/dining area with eat up island, high end appliances, walk-in pantry, and ample satin white cabinets. Off the kitchen you'll notice the elegant tray ceiling and cozy family room. The Master with its walk-in closet and full ensuite is an added bonus to this delightful home. An additional bedroom and main floor laundry, and additional washroom make this a truly desirable floor plan. Downstairs is completely finished off, with a superb open family room, full bathroom and two additional bedrooms. Pride in ownership is on full display!! Close to parks, walking trails, and west end amenities. Like new, elegant, turn key and ready for new owners. Floor Area 1,026 Sq. Ft. Lot Size 0.06 Sq. Ft.